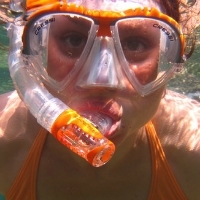 Short on time and looking for a more personal Great Barrier Reef scuba diving and snorkeling cruise? Allow us to welcome you aboard Coral Sea Dreaming for a 2-day 1-night live aboard reef sleep. Hosting a maximum of 12 guests, dive, snorkel and sail the Great Barrier Reef aboard Cairns only overnight vessel with low group numbers. With access to 30 exclusive moorings including the best of the outer Great Barrier Reef, we are sure to excite. Perfect for the beginner scuba diver or snorkeler through to the most experienced diver, our passionate PADI and SSI instructors are ready to take you on an underwater treasure hunt through pristine outer reefs full of an abundance of vibrant coral and marine life. With exclusive access to 30 premier moorings on both the mid and outer Great Barrier Reef, visit the best dive and snorkel sites Cairns has to offer including ‘The Whale, 5-Ways, Little Tracy and 3 sisters’. Our reef sites are healthy and full of diverse marine life and stunning coral gardens with visibility often up to 40m. With low passenger numbers of a maximum of 12 guests, arrive as strangers and depart as friends. Enjoy our peacefully uncrowded dive and snorkel sites to get up close and friendly with a turtle and at night after your thrilling night dive, enjoy a drink and a yarn with fellow travelers and crew. You will leave feeling part of our Coral Sea Dreaming family. Unsure if diving is for you but can’t wait to explore the Great Barrier Reef? With Coral Sea Dreaming, we love diving so much and we want to share our passion with you! 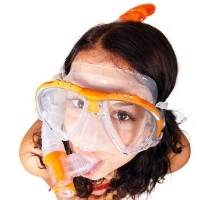 And so we offer a FREE 10 minute try dive to all first-time introductory divers. Learn some of the basic skills needed up on deck and then accompany our experienced instructors underwater to experience the thrill of diving. You will be hooked in no time! Leave the crowds behind as you unfurl the sails and take in the Great Barrier Reef serenity to sail your way to paradise. There is no better feeling than the breeze in your hair and wind in your sails as you relax and encounter breaching whales, cheeky turtles, dashing dolphins riding the bow and shy elusive sea snakes- all this before you even get to your first scuba dive site. With a maximum of just 12 passengers and 3 crew, Coral Sea Dreaming offers a very unique alternative to the large live-aboard experience. Laze on the sundeck, dive and snorkel when you feel like it or help the crew sail. Small group numbers diving and snorkelling, means you see more creatures, experienced divers enjoy longer dive times and first time divers receive one on one training with no rushing. This is your adventure of a lifetime!